Once you take ownership of your home, you should begin looking for a good Jacksonville roofing specialist. This should be a company that fills you with confidence and has a good reputation in the community. Your ability to trust in the roofing company and its employees is important, because you will want to build a long-lasting relationship with them. When you work with the same roofing specialists over a long period of time, they will get to know your needs and they will be familiar with your home care budget. 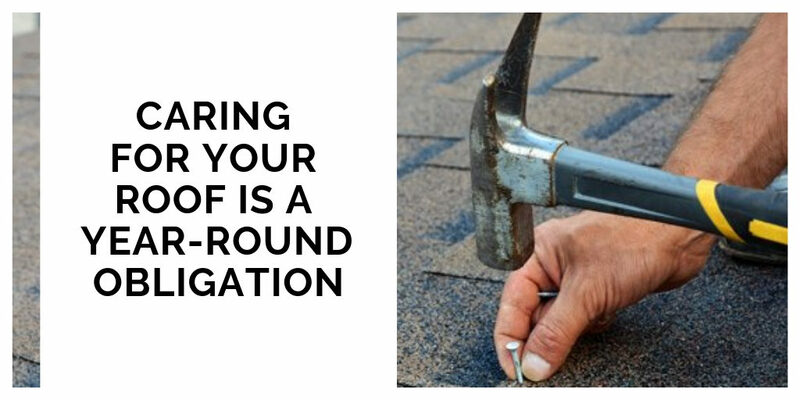 Once you find the roofing company to service your home, making appointments for seasonal inspections is a wise preventative maintenance practice. This will help identify problems early, so they can be repaired at a lower cost. It will be much easier and cheaper to patch up a small hole than to replace an entire segment of your roof. Additionally, seasonal inspections can help identify threats to your roof, such nearby tree branches or rodent infestations. Finding these problems and eliminating them can help you avoid damage to your shingles. At some point, it will be necessary to replace your roof entirely. When you’ve been working consistently with the same roofing contractor, they will be able to anticipate your needs. They can consult with you about the roofing options that fall within your budget and help you determine which one will best meet your needs. Since you’re already familiar with the roofing company’s staff, you’ll already know that you can trust them to do a quality job in installing your new roof. This will make a major roofing project less stressful and you’ll feel confident that your new roof will protect your home for years to come.